This world is full of pride. Pride is literally dripping from every pour and crevice of this rebel planet! You name it! In whatever area of life, it seems to be a source of pride for those who turn the wheels of the machinery of society. We humans get proud of our accomplishments: our talents and abilities, our outward beauty, our charismatic personalities, our good work-ethics, our genius, our inventive ideas and discoveries, our physical strength, our good morality. Yes, these are only just a few of the many areas in which we humans are filled with pride. But for those who place their trust in God’s Word, they soon discover that God does not give us such a glowing report-card. You see, the Bible plainly lays bare the stark reality, that mankind is not nearly as bright and clever as we credit ourselves as being. “Brutish (perhaps meaning, ‘stupid’) and foolish”: not a very flattering description, wouldn’t you agree? The story of King Nebuchadnezzar makes a fitting example of how people take credit for their accomplishments, instead of realizing that it is the unseen powers who are actually responsible for much of this world’s accomplishments. Yes, after having lived for years as a dumb animal, ol King Nebuchadnezzar finally realized that he wasn’t so smart after all. He ultimately understood that his wisdom and might, and strength and accomplishments were only possible because God permitted him to have those qualities. But we shouldn’t think that this wicked King Nebuchadnezzar’s abilities were necessarily gifts from Heaven. And if Satan is working within the children of disobedience, then we can just imagine what he’s working at within mankind! We humans aren’t nearly as moral, as clever, as talented, as hard-working, as witty, as we are led to believe. No, just like ol king Nebuchadnezzar, our abilities and talents are most likely just the result of the inner-workings of unseen spirits which indwell the people of this world. Mankind does not have the ability to walk according to his own intelligence. We are led by unseen spirits: some by the Spirit of Truth, but most by “the spirit of error”. Oh yes, God is ultimately in control of all things. But before we think that we are responsible for even our daily labor, and our daily accomplishments, let’s consider the verses presented here today in this devotional. And truth-be-told, without the daily workings of one of those two spirits (either the Holy Spirit, or the Antichrist spirit), we would actually discover that we might rather be called “uninspired”, or “low-intelligence”. And, there is little doubt that the dark days ahead will only prove these things to be true. Yes, at some point in the near future, God may just remove all spiritual prowess from working within us, so that we may discover just how unintelligent and unimaginative we really are! Yes, the Day of the Lord (which has already begun) will finally reveal to us just how foolish and unintelligent we really are! GET ON BOARD THE ARK OF SAFETY! But there is a way of escape from all this! Yes, it is still the day of Salvation. And all are invited to jump ship from this sinking Titanic planet, and climb aboard the Ark of Salvation, which is leaving this doomed world, for the wonderful Promised Land: a land of joyful song and innocent laughter. A land in which we will never grow old, but be forever young! Now, this 3rd brightest star in the night heavens, Arcturus, seems to very nicely fulfill the prophecy, “there shall come a Star out of Jacob, and a Sceptre shall rise out of Israel” Numbers 24:17. 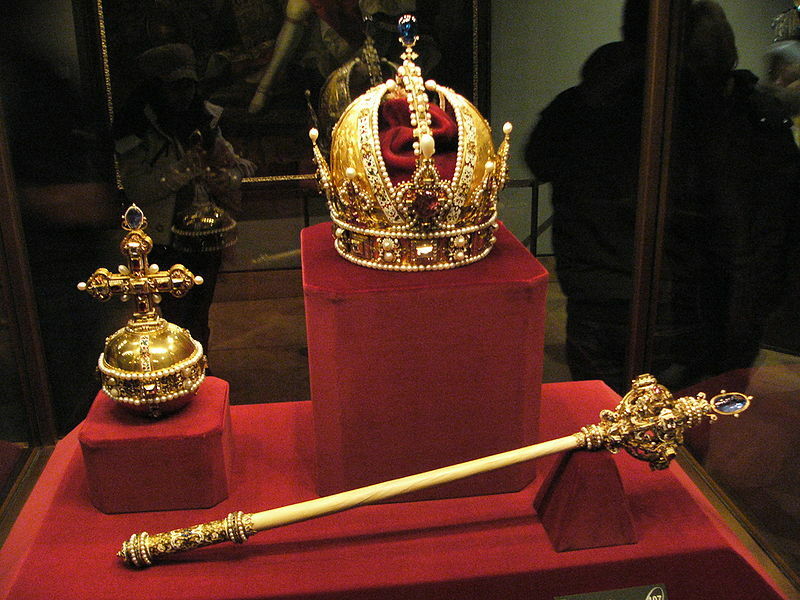 But where would the scepter be in this prophecy? After all, it speaks not only of a star rising, but also of a scepter. This is not the Northern Cross, nor is it the Southern Cross. This cross is made of stars from both the Serpens Constellation and the Ophiuchus Constellation. Here is a star-chart from Wikipedia, in which the editor of this site has sketched in this Cross/Scepter Constellation. The stars in this star-chart are accurately placed, and this Cross/Scepter Constellation stands out in brilliance, among the other stars in the night sky. The sketch below is the Summer Constellations, as seen when looking west. Well, if you look just to the south (south is to the left in this sketch) of Arcturus, you will see what appears to be a scepter. But this scepter also appears as a Cross. And this constellation has been named, the Cross/Scepter constellation. It can be seen in January, in the pre-dawn hours. Each night, it appears a little earlier, as it slowly inches its way westward. Finally this constellation dips below the western horizon, in the fall, not appearing again till January, back in the eastern sky. Now, as earlier stated, this wonderful prophecy (“there shall come a Star out of Jacob, and a Sceptre shall rise out of Israel”) has its greatest fulfillment in the coming of our Lord, Jesus Christ. Jesus is represented by that glorious Star. And His death on the Cross is truly His scepter of authority. Jesus died to save a world of rebellious sinners.